Meditation is a way of calming the mind, reducing stress and developing a more positive approach to life. This course provides the perfect opportunity to discover for yourself the inner peace and happiness that naturally arises when our mind becomes still. This feeling of inner peace will help us to cope with the busyness and difficulties of daily life and we will feel warm and well disposed towards other people thereby improving our relationships. 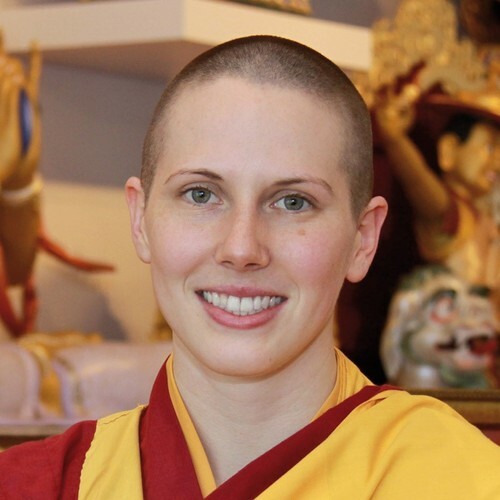 Kelsang Luma is the Resident Teacher of Maitreya Kadampa Buddhist Centre. Luma is a well loved for her humility as well as her energy and joy in sharing Buddha’s instructions. Her practical and uplifting teachings make meditation and modern Buddhism accessible to all, enabling people from all walks of life to solve their daily problems through developing inner peace.